Have you lost some or all of your missing teeth and finding it difficult to speak and eat properly without your natural teeth? You don't have to live without your teeth! By replacing your missing teeth with dentures, you will not only get your smile back, but you will also be able to speak clearly and eat all your favorite foods. A denture, also known as false teeth is a prosthetic dental appliance that rests over the soft tissues overlying the jaw bones, and serve as a replacement for your missing teeth. 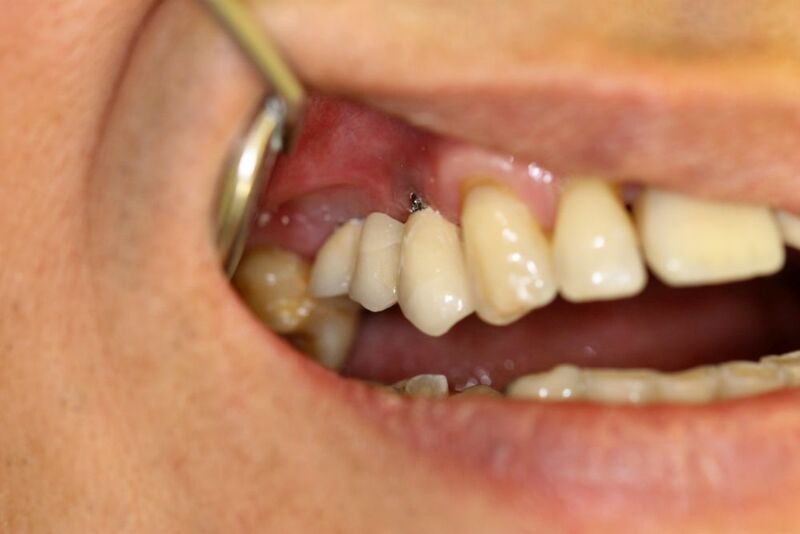 Although any dental appliance that replaces missing teeth is technically called as a denture, however, this term has been customarily reserved removable prosthetic teeth. Complete Dentures – these dentures are useful in individuals who have lost all of their natural teeth. 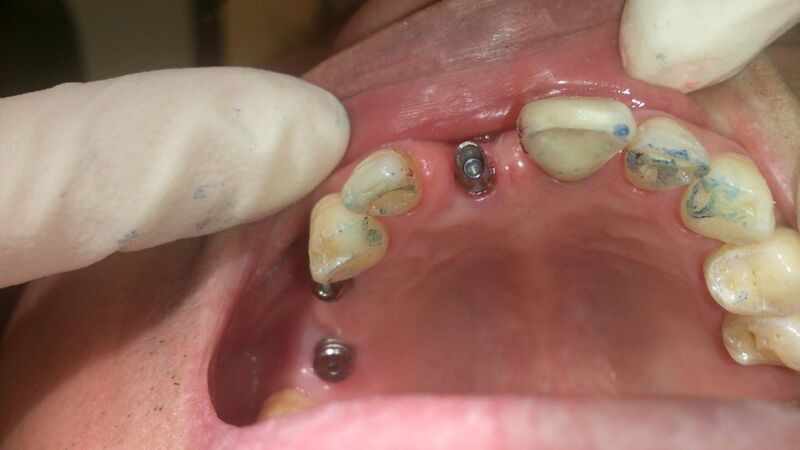 These denture depend solely on the oral soft tissues for their retention and stability. Initial Evaluation – before starting the procedure, your dentist will perform a detailed clinical examination and have a look at the gypsum study models of your teeth. This is done to prepare a customized treatment plane, and to make sure that you are a suitable candidate for getting implants. Making Impressions of Your Teeth – Your dentist will first make an impression of your teeth, which will then be sent to the dental laboratory for the fabrication of study models and custom impression trays. 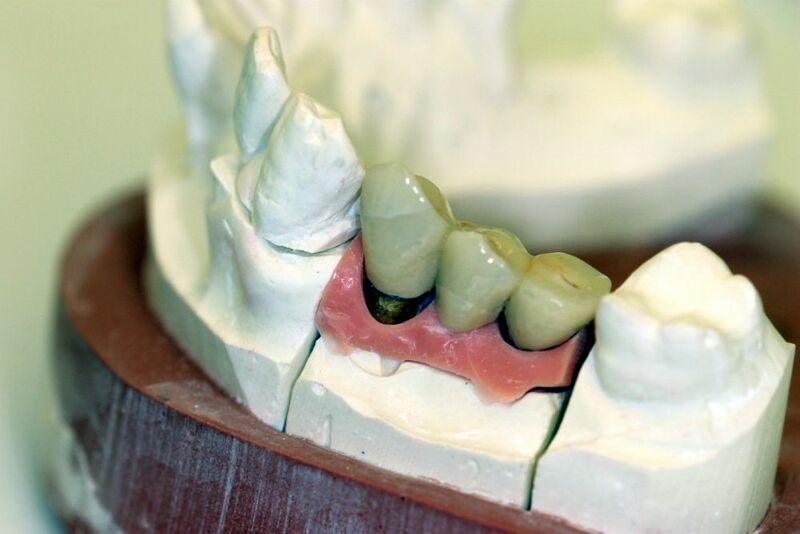 Registering Jaw Relations – one of the most important steps in denture fabrication is registering the position of your jaws in occlusion, so as to ensure that you're upper and lower dentures and teeth are in perfect occlusion with each other. Registering the Final Impression – after recording the jaw relations, your dentist will make a final impression of your teeth by using a custom tray. This impression is then again sent to the dental laboratory for fabrication of the prosthesis. Getting your New Dentures – once you receive your new dentures from the laboratory, your dentist will try them on you to ensure that they fit properly. If need arises, small amount of grinding or polishing is performed at the dental chairside and the dentures are delivered to you. Improved Smile – now there is no need for you to avoid smiling in front of people! Your dentures will replace all your missing teeth and provide you with a charming and attractive smile. Improved Chewing Ability – chewing your food properly in the absence of your teeth can be very difficult. This problem can be easily solved with the help of dentures. Now you can eat your with comfort and convenience. Reparability – if you accidentally break your dentures, you can easily get them repaired by sending them to your dental office or laboratory. Improved Self Esteem – with your dentures, you will be able to speak with clarity and smile with confidence. This will significantly improve your self-esteem and your confidence. WebMD is an excellent resource on dentures, check it out if you need more information! Our prices are here.